Summer camping was the icing on my summer holiday cake especially when I was a little boy. Every summer holiday, my dad would take us on a camping trip, set oven and fire, prepare some outdoor delicacies and just enjoy the day. This summer was not different only that I am already a grown man. 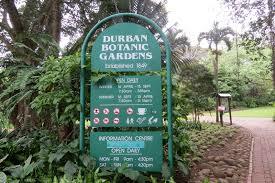 The fun thing with Durban is the Botanical Garden which allowed for Outdoor Cooking Until fires started breaking out. With dad slowing down with age, we only did what he liked the most and that is the BBQ Dutch Oven Chicken and Potatoes. I added a pack of bacon to the chicken to enhance the taste and also have the oil from bacon cook the dish. The bacon blended with the taste of the chicken giving it a unique taste. You can either add or not add bacon. My dad always said that chicken and potatoes are such a boring combination but with the bacon in the mix, the food had a different aroma and taste altogether. Preheat the oven, place the Dutch oven on the top of the fire, in order to let the coals burn nicely, open the door of the oven.When the Dutch oven warms up, put the bacon in it. The oil from the bacon will not only be used to cook the chicken but also gives the chicken some aroma. 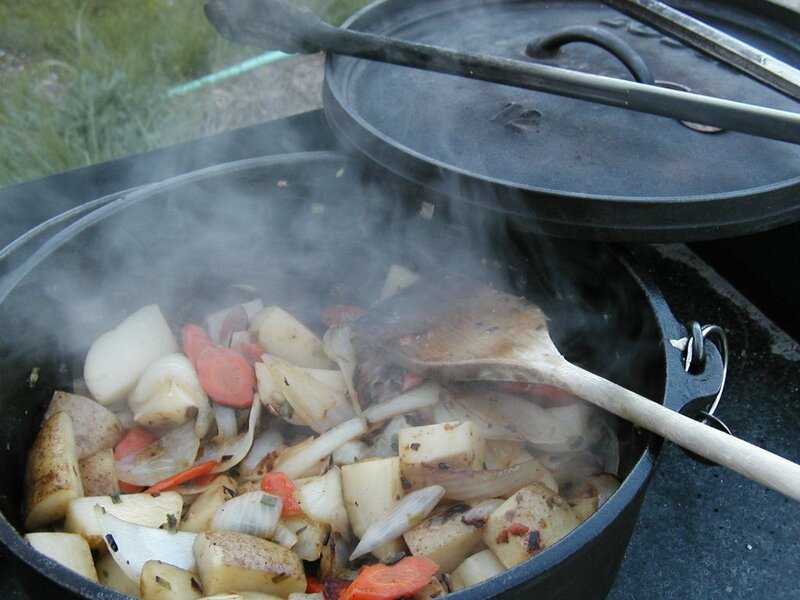 So when the bacon is cooked, drain excess grease but keep probably ¼ cup in the Dutch oven. Add onions and butter to the cooked bacon in the Dutch Oven. Wait till they turn brown then add potatoes, chicken breasts and finally the BBQ sauce and some water then cover with the lid. In order to let the coal burn nicely and the chicken to cook perfectly, make sure there are 14 coals underneath the Dutch oven and 12 on top. Cook for about 35-50 minutes and the chicken will be done. Adding Bacon is optional for this recipe. I added Bacon for the aroma and of course the love of it. This Recipe is a trip down the memory lane of my childhood. 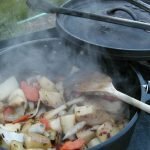 Dutch Oven Recipes: All Recipes. Vielen Dank. Fühlen Sie sich frei, um die Website zu besuchen.